In 2018-2019, Ms. Dukach makes her debut as Antonia/Giulietta/Stella in Les contes d’Hoffmann with Nashville Opera, joins Lyric Opera of Chicago to cover performances of Musetta in La bohème, sings the Countess in Le nozze di Figaro with Inland Northwest Opera, and appears on the concert stage as a soloist for Rachmaninoff’s The Bells with the Portland Symphony (Maine). Last season, Inna Dukach made her Metropolitan Opera debut as Madama Butterfly, traveled to Taiwan to sing Mimì with the Kaohsiung Symphony Orchestra, and created the role of Ina in the world premiere of Steal a Pencil for Me with Opera Colorado. 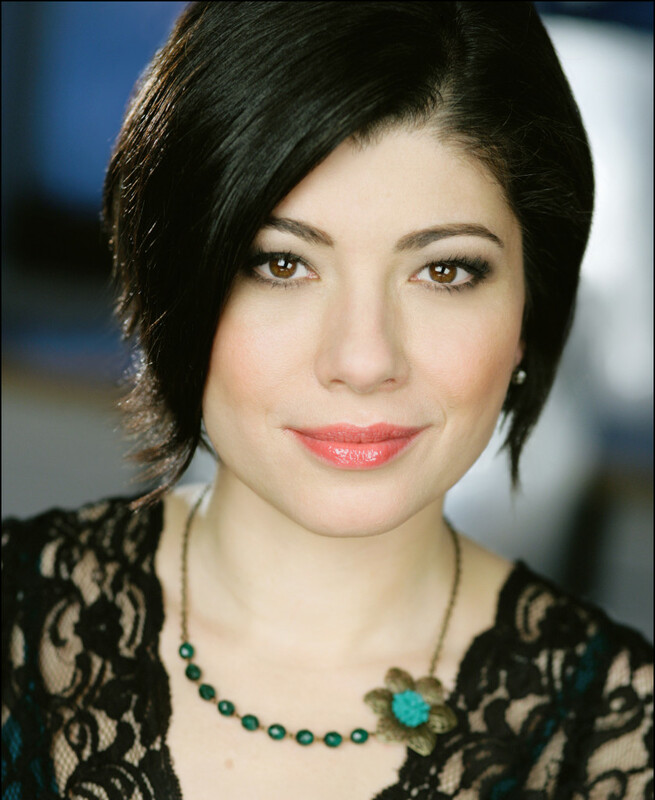 During the 2016-17 season, she appeared with NYCO as Zemfira in Aleko, the Russian Chamber Art Society, and joined both the Lubbock Symphony and Rochester Philharmonic as Mimi in La bohème. In the 2015-2016 season, she debuted with Florentine Opera as Rosalinde in Die Fledermaus, and the previous season included her debut with Anchorage Opera as Cio-Cio-San in Madama Butterfly, a matinee performance of that role with Atlanta Opera, and a return to Pensacola Opera as Mimì in La bohème. In concert, her schedule included a season opening gala of Russian operatic repertoire with Dayton Opera, and a New Year’s Eve concert with the Lancaster Symphony. 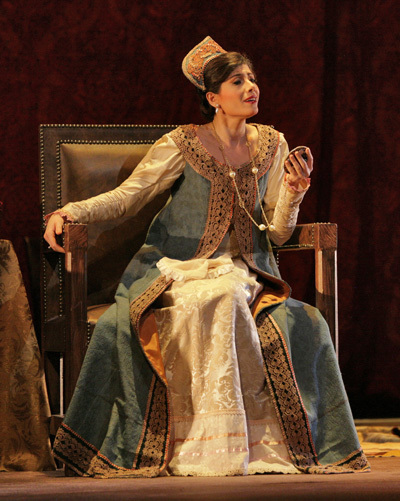 The soprano’s engagements in 2013-2014 included a role and company debut with Kentucky Opera as Amelia in Simon Boccanegra, the Dvorak Stabat Mater with the Albany Symphony, and the title role in Il segreto di Susanna with Boston’s Odyssey Opera. Her 2012-2013 season saw performances of Violetta in La traviata with Opera Omaha, as well as in concert with the Harrisburg Symphony Orchestra, and Donna Anna in Don Giovanni with Toledo Opera. Ms. Dukach made her London debut at Royal Opera House, Covent Garden as Musetta in La bohème. She was chosen to sing the role of Mimì in La bohème for two consecutive seasons at New York City Opera, and recently returned to the role for her debut with Opera Colorado. She has also appeared as the Countess in Le nozze di Figaro for Hawaii Opera Theatre; Walter in La Wally with the Netherlands Radio Philharmonic Orchestra at the Concertgebouw in Amsterdam; Pamina in Die Zauberflöte for Opera Hong Kong; Liù in Turandot for the Savonlinna Opera Festival; Tatiana in Eugene Onegin with Opéra Lyra Ottawa; Violetta in La traviata with the Croatian National Opera; Dorotea in Conte’s Don Chisciotte with the Caramoor Festival; Donna Anna in Don Giovanni with both Orlando Opera and with Opera Carolina; Xenia in Boris Godunov for San Diego Opera; and Caroline Gaines in Margaret Garner with Opera Carolina. Previous seasons also included debuts with the Israeli Opera, as Nedda in Pagliacci; Dayton Opera, as Mimì in La bohème; Pensacola Opera, for her role debut as Cio-Cio-San in Madama Butterfly; New Orleans Opera, as Nedda and the soprano soloist in Carmina Burana; Opera Colorado, as Rosalba in Daniel Catán’s Florencia en el Amazonas; and the Jacksonville Symphony Orchestra, as Mimì. She made her Alice Tully Hall debut with the American Symphony Orchestra as Aljeja in Janácek’s From the House of the Dead, and her Carnegie Hall debut in a program of Rutter’s Magnificat and Vaughan Williams’ Dona Nobis Pacem. Other concert highlights have included a concert of Gluck arias with Opera de Oviedo in Spain; the Beethoven Missa Solemnis with the Hartford Symphony; Strauss’ Vier Letzte Lieder with Theater Pforzheim in Germany; Songs of Yiddish Poetry, as well as the Verdi Requiem with the Brooklyn Philharmonic; the Dvorak Stabat Mater and Brahms Requiem with the Greenwich Choral Society; the Mozart Requiem with the Saratoga Choral Festival; Beethoven’s Ninth Symphony with the Smith College Orchestra at Carnegie Hall; and Barber’s Knoxville: Summer Of 1915 with Bay Shore Lyric Opera. Inna Dukach received her Master’s Degree in Vocal Performance from Mannes College of Music, and her Bachelor’s Degree from Smith College.